According to the GuruFocus All-in-One Screener, the following stocks have high dividend yields but performed poorly over the last 12 months. 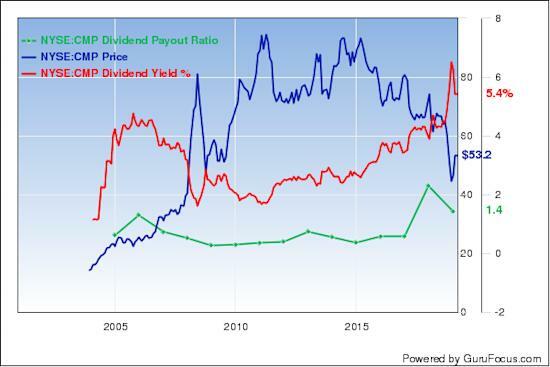 AllianceBernstein Holding LP's (AB) dividend yield is 9.07% with a payout ratio of 115%. Over the last 52 weeks, the share price has risen 10%. The stock is trading with a price-book ratio of 1.91 and a price-earnings ratio of 11.92. Warning! GuruFocus has detected 3 Warning Signs with COMM. Click here to check it out. The asset management company has a market cap of $2.88 billion and a profitability and growth rating of 3 out of 10. The return on equity of 15.91% and return on assets of 15.90% are outperforming the industry and are ranked higher than 83% of competitors. Its financial strength is rated 7 out of 10. The equity-asset ratio of 1 is above the industry median of 0.76. With 0.40% of outstanding shares, Chuck Royce (Trades, Portfolio) is the company's largest guru shareholder, followed by Hotchkis & Wiley with 0.16% and Mario Gabelli (Trades, Portfolio) with 0.12%. 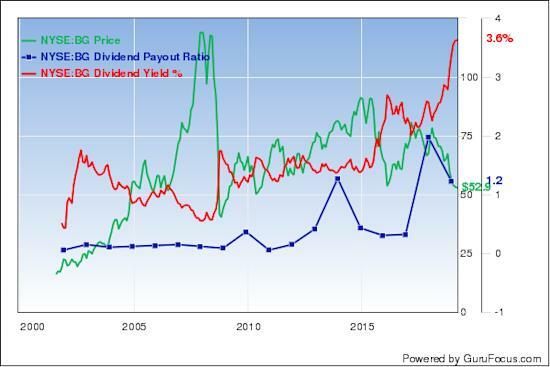 ABB Ltd.'s (ABB) dividend yield is 4.24% with a payout ratio of 116%. Over the last 52 weeks, the share price has fallen 20%. 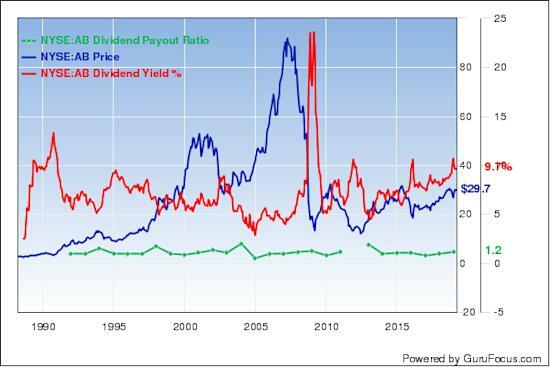 The stock is trading with a price-book ratio of 2.99 and a price-earnings ratio of 19.60. The company, which supplies power and automation systems, has a $41.51 billion market cap. The company has a profitability and growth rating of 5 out of 10. The return on equity of 15.48% and return on assets of 4.89% are outperforming the sector and are ranked higher than 60% of competitors. Its financial strength is rated 6 out of 10. The cash-debt ratio of 0.48 is underperforming 67% of industry peers. The equity-asset ratio of 0.31 is below the industry median of 0.52. Ken Fisher (Trades, Portfolio) is the company's largest guru shareholder with 0.53% of outstanding shares, followed by Sarah Ketterer (Trades, Portfolio) with 0.07% and Jim Simons (Trades, Portfolio)' Renaissance Technologies with 0.06%. 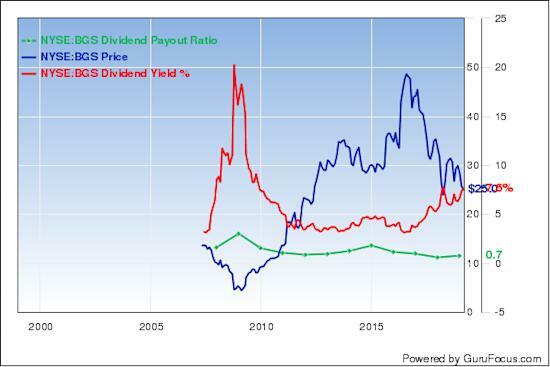 Bunge Ltd.'s (BG) dividend yield is 3.72% with a payout ratio of 122%. Over the last 52 weeks, the share price has fallen 32%. The stock is trading with a price-book ratio of 1.36 and a price-earnings ratio of 34.07. The agribusiness and food company has a market cap of $7.54 billion. GuruFocus rated the company's profitability and growth 4 out of 10. The return on equity of 3.55% and return on assets of 1.27% are underperforming the sector and are ranked lower than 65% of competitors. Its financial strength is rated 6 out of 10. The cash-debt ratio of 0.10 is underperforming 86% of competitors. The equity-asset ratio of 0.32 is below the industry median of 0.53. With 1.56% of outstanding shares, Steven Cohen (Trades, Portfolio) is the company's largest guru shareholder, followed by Hotchkis & Wiley with 0.49%, Michael Price (Trades, Portfolio) with 0.39%, Pioneer Investments (Trades, Portfolio) with 0.36% and George Soros (Trades, Portfolio) with 0.21%. 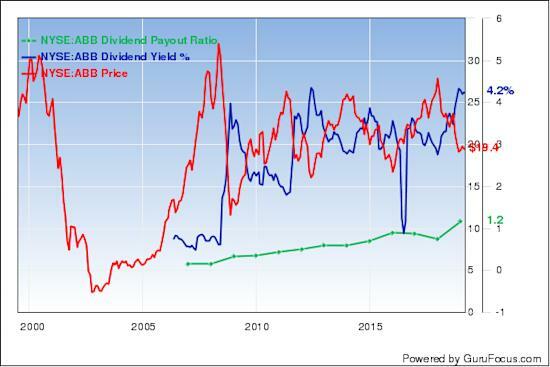 Briggs & Stratton Corp.'s (BGG) dividend yield is 4.28%. Over the last 52 weeks, the share price has fallen 42%. The stock is trading with a price-book ratio of 1.07 and a forward price-earnings ratio of 7.88. The company, which manufactures gasoline engines and outdoor power equipment, has a market cap of $542.73 million. The company has a profitability and growth rating of 5 out of 10. The return on equity of -4.47% and return on assets of -1.57% are underperforming the industry and are ranked lower than 86% of competitors. Its financial strength is rated 5 out of 10 with a cash-debt ratio of 0.07 that is underperforming 91% of industry peers. The equity-asset ratio of 0.30 is below the industry median of 0.52. With 8.72% of outstanding shares, Charles Brandes (Trades, Portfolio) is the company's largest shareholder among the gurus, followed by Simons' firm with 0.33%, Hotchkis & Wiley with 0.17% and Jeremy Grantham (Trades, Portfolio) with 0.10%. 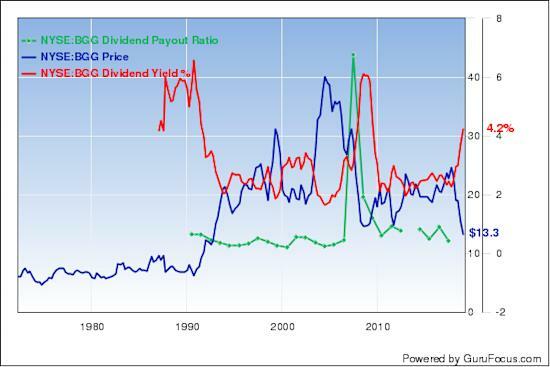 B&G Foods Inc.'s (BGS) dividend yield is 7.57% with a payout ratio of 73%. Over the last 52 weeks, the share price has fallen 18%. The stock is trading with a price-book ratio of 1.82 and a price-earnings ratio of 9.60. The company, which makes packaged food products, has a market cap of $1.64 billion. GuruFocus rated its profitability and growth 7 out of 10. The return on equity of 19.99% and return on assets of 5.12% are outperforming the sector and are ranked higher than 65% of competitors. Its financial strength is rated 4 out of 10. The cash-debt ratio of 0.01 is below the industry median of 0.49. Diamond Hill Capital (Trades, Portfolio) is the company's largest guru shareholder with 3.45% of outstanding shares, followed by Hotchkis & Wiley with 0.16%, Fisher with 0.07% and Gabelli with 0.02%. Compass Minerals International Inc.'s (CMP) dividend yield is 5.44% with a payout ratio of 143%. Over the last 52 weeks, the share price has fallen 14%. The stock is trading with a price-book ratio of 3.34 and a price-earnings ratio of 26.50. The specialty fertilizer producer has a market cap of $1.8 billion. The company has a profitability and growth rating of 7 out of 10. The return on equity of 11.44% and return on assets of 2.87% are outperforming the sector and are ranked higher than 76% of competitors. Its financial strength is rated 4 out of 10 with a cash-debt ratio of 0.02 that is underperforming 88% of competitors. With 0.46% of outstanding shares, Wallace Weitz (Trades, Portfolio) is the company's largest guru shareholder, followed by Hotchkis & Wiley with 0.20%, Robert Bruce (Trades, Portfolio) with 0.18% and Cohen with 0.08%.